A Real Dream Pleaser! Sitting on one of Cascada's prettiest lots with 1.18 acres backing up to the new Hidden Falls Wildlife Ranch, this Texas Hill Country themed home is ready to call HOME. The grand foyer, living & baths have beautiful tile flooring & all bedrooms & office have rich wood flooring. The fabulous kitchen has rich granite countertops, breakfast bar that seats 4-5, walk-in pantry, GE profile appliances. Split master is very spacious with a wonderful master bath with 2 vanities, walk-in shower & garden tub + a huge walk-in closet. 3 more bedrooms + full bath w/double sinks. Huge covered patio w/wood ceiling & fan. 2820 SF. The HOA provides a gated entry, a waterfront park for boating & fishing, BBQ pits, sports fields, bathrooms, small boat storage, walking & jogging trails. Comal ISD. A Real Dream Pleaser! 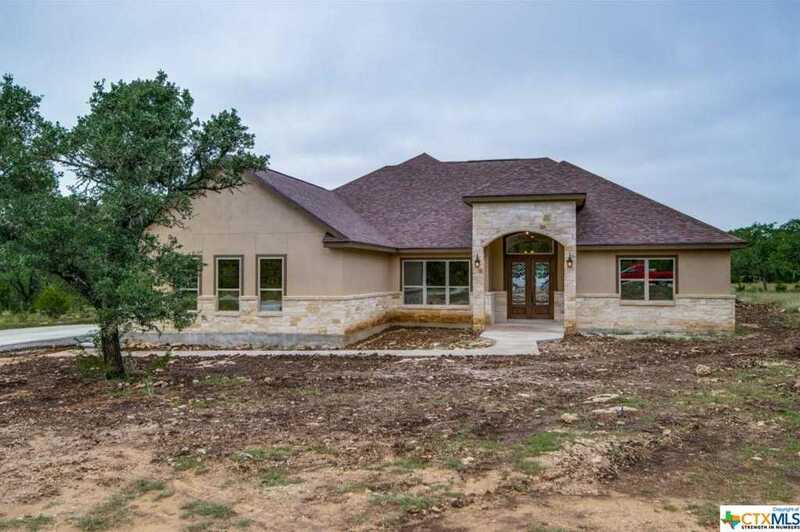 Sitting on one of Cascada’s prettiest lots with 1.18 acres backing up to the new Hidden Falls Wildlife Ranch, this Texas Hill Country themed home is ready to call HOME. The grand foyer, living & baths have beautiful tile flooring & all bedrooms & office have rich wood flooring. The fabulous kitchen has rich granite countertops, breakfast bar that seats 4-5, walk-in pantry, GE profile appliances. Split master is very spacious with a wonderful master bath with 2 vanities, walk-in shower & garden tub + a huge walk-in closet. 3 more bedrooms + full bath w/double sinks. Huge covered patio w/wood ceiling & fan. 2820 SF. The HOA provides a gated entry, a waterfront park for boating & fishing, BBQ pits, sports fields, bathrooms, small boat storage, walking & jogging trails. Comal ISD. Please, send me more information on this property: MLS# 361776 – $489,500 – 2314 Cascada Parkway, Spring Branch, TX 78070. I would like to schedule a showing appointment for this property: MLS# 361776 – $489,500 – 2314 Cascada Parkway, Spring Branch, TX 78070.